!! Iedereen die het spel voorbestelt voor 15 juni ontvangt de exclusieve promoset met 25 kaarten !! Het bordspel Rovers van de Noordzee speelt zich af in het tijdperk van de Vikingen. De spelers zijn krijgers die indruk proberen te maken op de hoofdman door argeloze nederzettingen te overvallen. In het spel Rovers van de Noordzee proberen de spelers zo veel mogelijk roem te vergaren. Ze stellen een bemanning samen, slaan voorraden in en reizen naar het Noorden om nederzettingen te plunderen. 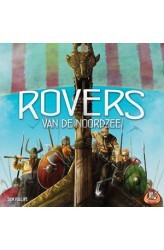 Inhoud bordspel Rovers van de Noordzee: - een spelbord, - 48 munten, - 48x buit, - 48x proviand, - 30 vikingen, - 76 dorpelingkaarten, - 4 schipkaarten, - 16 offertegels, - 12 scorestenen, - een zwa..
Wingspan is a competitive, medium-weight, card-driven, engine-building board game from Stonemaier Games. You are bird enthusiasts—researchers, bird watchers, ornithologists, and collectors—seeking to discover and attract the best birds to your aviary. Each bird extends a chain of powerful combinations in one of your habitats (actions). These habitats focus on several key aspects of growth: --Gain food tokens via custom dice in a birdfeeder dice tower --Lay eggs using egg miniatures in a variety of colors --Draw from hundreds of unique bird cards and play them The winner is the player with the most points after 4 rounds. 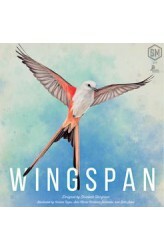 https://youtu.be/sMalzj-6g7A ..
Spelers kruipen in de rol van ornithologen en proberen de beste leefomstandigheden in het opvangcentrum te creëren voor onze gevederde vrienden. De leefgebieden richten zich op verschillende groeifactoren: voedsel pakken, eieren leggen en nieuwe vogelkaarten trekken. Elke vogel is uniek en breidt in één van zijn leefgebieden een ketting van krachtige combinaties uit. Zorg dat je de beste combinatie van vogels vormt om aan het eind van het spel de meeste punten te scoren. 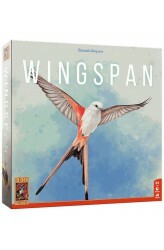 Het spel bevat maar liefst 170 unieke vogelkaarten, die in combinatie met de verschillende bonuskaarten en de interactie met de andere spelers voor oneindige variatie zorgen! - Bevat 170 unieke vogelkaarten en 75 ei-miniaturen - Met een “echt” vogelhuisj..
KeyForge: Age of Ascension – Archon Deck consists of a single unique deck created from cards in the Age of Ascension set, the second set of cards in the KeyForge line. 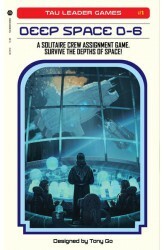 Each player must have their own deck in order to play the game. .. 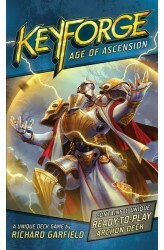 Journey deeper into the world of the Crucible in Age of Ascension, the second age of KeyForge! This continuation of the world's first Unique Deck Game contains 204 new cards seamlessly integrated into a card pool that contains a total of 370 different cards, creating an entirely new collection of Archon Decks for you to discover, explore, and master! 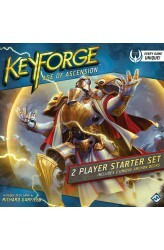 The KeyForge: Age of Ascension two-player starter provides you with all the tools you need to either begin or expand your adventures on the Crucible, featuring two unique Age of Ascension Archon Decks, a Quickstart Rulebook, two Poster Playmats, and all the keys, tokens, and chain trackers you and your chosen opponent need to start playing! 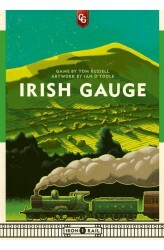 In more detail, KeyForge is played over a series of turns in which you,..
Irish Gauge — one of three titles in Winsome Games 2014 Essen Set — is played on a map of Ireland and is similar in style to many of the stock-based, cube-rail games released by Winsome Games since 2007. On each player's turn, they can either place a share of one of five companies up for auction, build track (represented by cubes) in one of these five companies, upgrade a town to a city, or call for dividends. The dividends are paid out to shareholders of certain railroads based on how many cities/towns they connect to and how many shares of this company have been issued. The upgrade and dividend actions also affect game length and the likelihood of further dividends for each company. 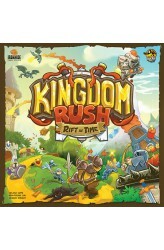 The game ends when a certain condition is met at the end of a player's turn, and the pla..
You are a Captain of the UEF! Your RPTR class starship was on routine patrol of the Auborne system when a distress call was received. Upon warping in you quickly realized it was a trap! With the help of your crew, you must survive until a rescue fleet appears. Deep Space D-6 is a solitaire dice game about surviving the cruel depths of space. 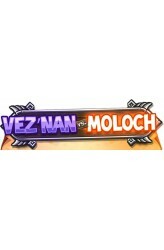 Each turn you’ll roll Crew dice and assign them to stations. You must plan carefully to take care of internal and external threats to your ship. Survive to win. https://youtu.be/oyj3zPEcqfs ..
You are a Nomarch in Ancient Egypt. The Pharaoh put you in charge of a Metropolis and its region. The flooding of the Nile is coming to an end and the lands of the Valley are ready to offer their riches. Organize the collection of resources, build districts with the most lucrative shops, supply them with goods and earn the most Debens for the glory of the Pharaoh. 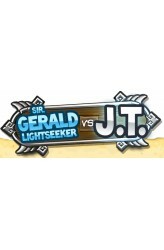 The player who will make the best use of the resources of the Nile Valley will win the game. 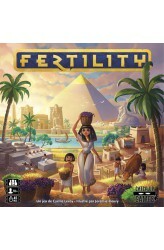 Fertility is a simple resource management game that raises tough decisions for you to take. Each turn, you collect some of the riches of the Valley of the Nile and immediately decide how to use them : supply one of your Shop to earn money, or spend them to build new districts, offering you new opportunities. Be wise beca..